Silver Spring, Md. (Monday, December 17, 2018) – Arconic Foundation, the independently endowed philanthropic arm of Arconic and Discovery Education, the leading provider of digital content and professional development for K-12 classrooms, today announced Mansfield Junior-Senior High School in Mansfield, Pa. as the first-ever grand prize winner of the Manufacture Your Future Teacher Challenge. Mansfield Junior-Senior High School were awarded a $5,000 grant, in-school winner celebration and the opportunity to send a distinguished STEM educator to Discovery’s 2019 Educator Network (DEN) Summer Institute. This summer, the Manufacture Your Future Teacher Challenge called upon educators to inspire 3-12 grade students to learn more about modern manufacturing careers. School communities were invited to submit a video pitch and written plan for the chance to win a challenge grand prize, and the program aims to assist educators in creating pathways for students to explore advanced manufacturing careers. The winning submission from Mansfield Junior-Senior High School, entitled AutoCAD & the Bike Pad, will enable students in Mansfield’s applied physics class to use AutoDesk CAD. AutoDesk CAD will help them design and build bike rack covers for their district’s elementary school. Students will leverage in-school Manufacture Your Future resources to further develop key science, technology, engineering and math (STEM) skill-sets and they’ll engage in immersive project engineer and design activities. Mansfield Junior-Senior High School students will also collaborate with the Pennsylvania College of Technology and Woodhouse – a local timber frame manufacturing facility – to create prototypes for their concepts. After vetting from a local panel of Pennsylvania industry and academic judges the students will build the winning design. Overall, the comprehensive experience will underscore the importance of project engineering and experiential learning. As manufacturing continues to evolve and require new skill sets, employers need qualified workers who are passionate about the industry. The Manufacture Your Future Teacher Challenge empowers educators to connect classroom-based STEM lessons to enriched, real-world career experiences, so that students have opportunities to gain valuable workplace skills prior to graduation. As part of the challenge, second and third prize winners were also acknowledged for their innovative proposals. Manufacture Your Future Teacher Challenge second place winner Holley-Navarre Middle School, based in Navarre, Fla., will be awarded a $3,500 grant for their What If: A Solution to Manufacturing Hurricane Sustainable Homes submission. And third place winner, Streamwood High School, based in Streamwood, Ill., will be awarded a $1,500 grant for their More product and fewer people: Modern day manufacturing at work initiative submission. As part of the Manufacture Your Future Teacher Challenge, 10 fourth place prizes are also being awarded to schools and educators in collaboration with Donors Choose. As a result of being selected for outstanding challenge submissions, Arconic Foundation will direct a $1,000 donation to each winning project featured on donorschoose.org. Manufacture Your Future encourages the development of critical thinking skills through real-world applications. Available at no-cost to classrooms nationwide, the program offers comprehensive, cross-curricular STEM-based lesson plans and virtual field trips to provide students with direct access to today’s most prominent manufacturing careers. The program’s family discussion starters extend the conversation beyond the classroom, giving parents a way to highlight the crucial role that manufacturing plays in day-to-day life. 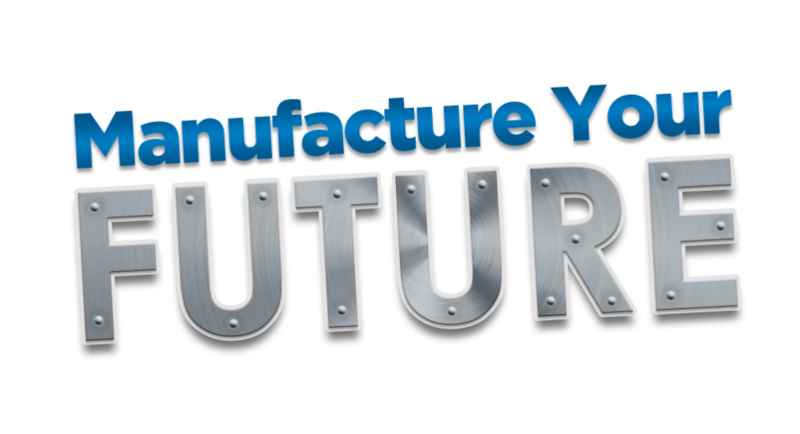 To access the site’s free resources, visit manufactureyourfuture.com. Manufacture Your Future materials are also available through Discovery Education Streaming Plus. For more information about Discovery Education’s digital content and professional development services, visit discoveryeducation.com. Stay connected with Discovery Education through social media on Facebook, Twitter, Instagram and Pinterest @DiscoveryEd. Arconic Foundation supports programs that help prepare the 21st century engineering and advanced manufacturing workforce. Arconic Foundation is an independently endowed foundation with assets of approximately $320 million and is the charitable arm of Arconic, Inc. – which works in close partnership with customers to solve complex engineering challenges to transform the way we fly, drive, build and power. Through collaboration with our nonprofit partners, our initiatives make quality STEM education opportunities available to students; support engineering and technical skills training through community colleges, technical schools and universities around the world; and help to create access for underrepresented individuals to the STEM fields. The work of Arconic Foundation is further enhanced by the thousands of Arconic employee volunteers who share their talents and time to make a difference in their communities. Established in 2016, Arconic Foundation is active in 26 countries around the globe.